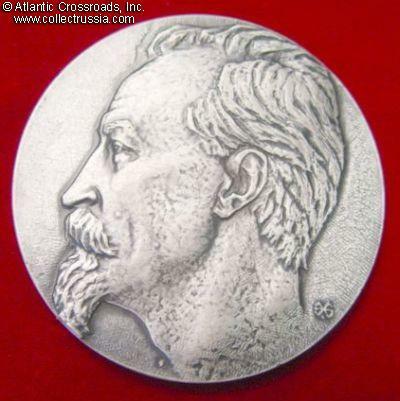 Felix Dzerzhinsky Centenary, commemorative table medal, 1972. German silver, diameter 70 mm. Obverse features Dzerzhinsky's portrait. 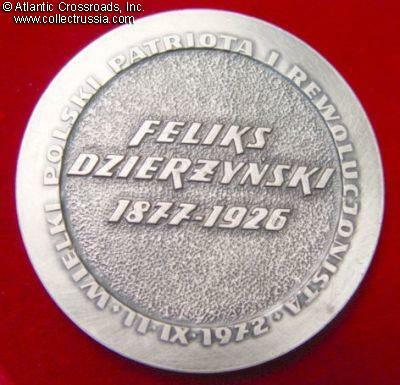 On the reverse is his name and life dates "1877-1926", with the writing along the edge "A Great Polish Patriot and Revolutionary, 09/11/1972". Maker mark to the obverse. Excellent condition. Historical note: native of Poland, Dzerzhinsky was among the closest allies of Lenin, and the first chief of the Soviet Secret Police (Cheka / OGPU). He was one of the key figures in the Soviet government during the 6-month long war against Poland in 1920 which resulted in the death of thousands of Poles.